See TriBeCa's main attractions and get a feel for the neighborhood. This neighborhood walking tour offers scenic views and plenty of opportunities to stop for great food, shopping, and fun. 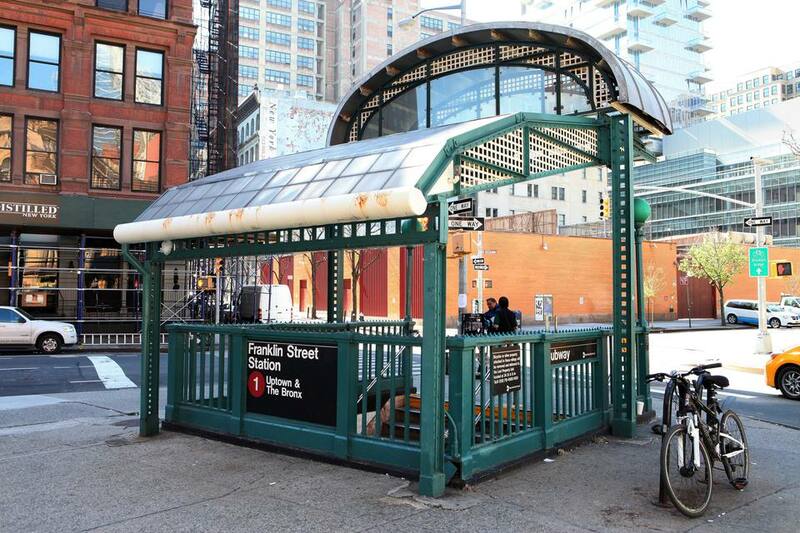 Take the 1 or 9 train to the Franklin Street stop. Emerge at the corner of Franklin and Varick Street. Walk south on Varick Street as it becomes West Broadway. You'll pass Worth Street, once the center of 19th-century New York's garment trade. At Duane Street, make a right and walk west to Hudson Street. Here you'll find the small, shady Duane Park, a great spot for sitting outside and people-watching. Continue west on Duane to Greenwich Street. Turn left and walk south one block to Washington Market Park. Here you'll find a great playground for the kids, with beautifully landscaped pathways and a gazebo. Exit Washington Market Park onto Greenwich Street again and walk north. At Harrison Street, you'll see a study in TriBeCa contrasts. A row of early-19th-century townhouses lines the side of Independence Plaza, a huge high-rise apartment complex. The three-story redbrick houses were moved here from various sites in the neighborhood in the early 1970s. Continue up Greenwich Street. In spring and summer, enjoy the tulips and consider stopping for coffee or a bite at one of the several outdoor cafes. If you're really hungry, you might consider waiting until you reach the Tribeca Grill at Greenwich and Franklin. The Tribeca Grill, owned by actor Robert DeNiro and his partners, is one of the neighborhood's most famous restaurants. The food's great, and if you hang out long enough, you'll probably see celebrities such as DeNiro himself or Harvey Keitel. After your meal at the Tribeca Grill (or once you get done peering through the window to look for supermodels), head east on Franklin Street. Franklin is one of TriBeCa's characteristic cobblestone streets lined with converted warehouses. On Franklin, you'll see art galleries, antique stores, and bars. Walk leisurely and stop to window shop. Head south on West Broadway/Varick for about ten blocks and pay your respects at the World Trade Center site.